Events require a lot of concentration, intent listening and attention. Guests can sometimes become tired, fatigued and unengaged. At Body Flow, we offer a way to activate the brain, stimulate the body and get the blood flowing in a fun but productive way before the team heads back into the conference or seminar. Our workshops will make sure your guests are the most productive they can be, fully alert and switched on with all neurological pathways firing and ready to interact, share and push the boundaries in their field of practice. 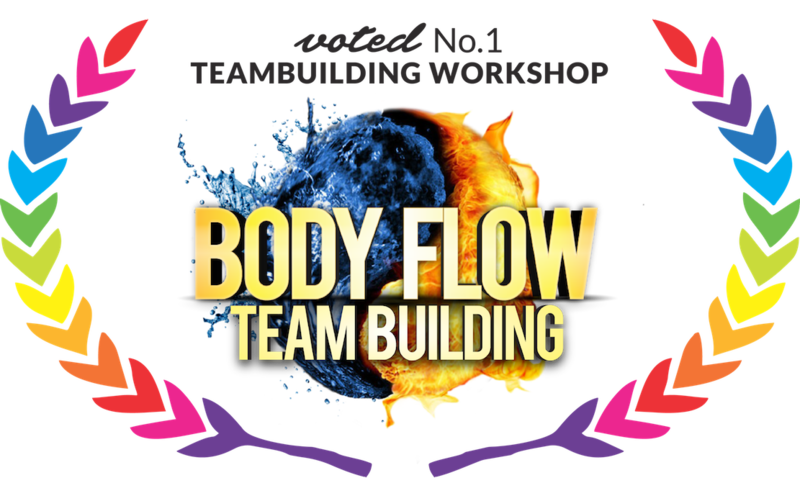 What’s involved in a Body Flow Team Building workshop? Multi-tasking – Using both sides of the brain and body to be able to multi-task. The workshop starts with various individual tasks, then leads into partner and group activities. Multi-tasking is a great way to activate the mind and body on any given day or situation. Problem-solving – Using batons to solve puzzles which are handed out on cards that range from easy to difficult. The team will need to work together to solve the puzzles and advance to the next stage. Will the team complete all of the tasks assigned in time? Baton twirling and baton balancing skills will also be taught during this section of the workshop. Focussed on individual accomplishment and team problem-solving tasks. Tai Chi and Self Defence – Learning various breathing and relaxation techniques, body and posture alignments, grounding and self-defence practices. The group will move between different partners and learn various self-defence techniques and play tai chi games to build better balance and body awareness. This section is great for building confidence and stronger relationships. Juggling and ball skills – Learning different ball tricks to increase hand to eye coordination, reaction speed and cognitive movement. After learning various tricks and competing against each other with single ball skills the team will progress to group games that increase in difficulty. The team will have to work together to advance to the next level. Construction - The team will be split up into groups and given a time limit to create the tallest tower out of spaghetti pasta. This task has very deep lessons in collaboration. We advise the team to not rush into the structure but plan and discuss options within the team. The team with the tallest tower wins but a team with a standing structure at the end will still feel satisfied. Our aim is to build confidence within the team, stimulate and relax the mind, activate the body and switch on both sides of the brain while constructing team building tasks, formulating problem-solving activities and playing fun group games to build stronger relationships. We also want to teach the group about the core aspects of being a team and how to work together in the most productive way possible, to push their company forward and be the best they can be. What are the benefits of Body Flow? Body Flow can be adapted to suit any event requirements. Call or email today to discuss a format that suits your event. All equipment is supplied by Energy Entertainments and the workshop is available Australia-wide or Internationally on request. Why not book an Entertainment package with us? We can supply the best entertainment you can find at your event that has the wow-factor effect you’re looking for! 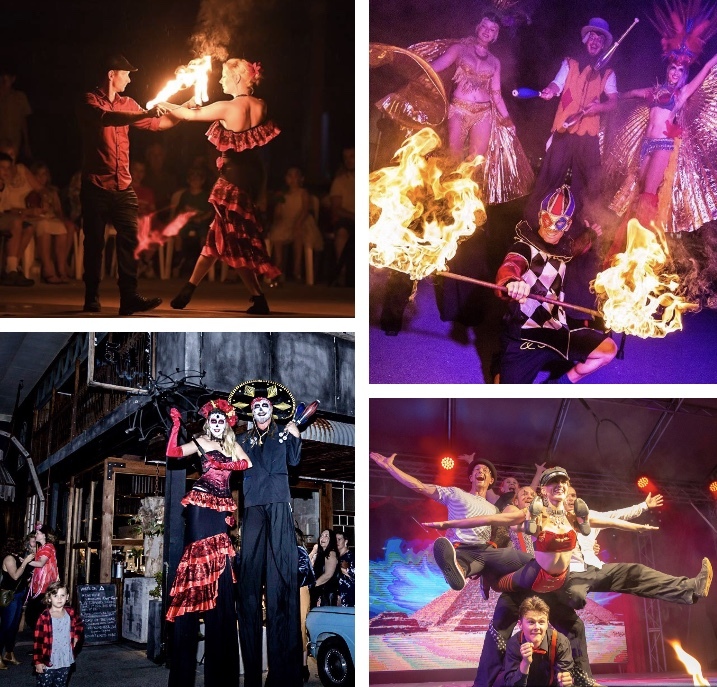 High-energy fire shows, character stilt walkers, roving LED Glow entertainers and so much more! Specialty Entertainment? Take a look here! High-energy fire displays? Click here! Why not have your logo on fire during the finale? Click here to see signs in action! You’re stronger when you’re a team! Below is an animation about the benefits of being a team.